You have to give Activision credit: we’re five iterations into the Skylanders series and it feels as fresh as ever. Although some had trepidation when the franchise first launched that it could wind up being an expensive fad destined to end up in Rubbermaid containers under their children’s bed, the fact that it’s as popular as ever and more importantly as good as ever is a testament to how inherently shrewd the idea was and how masterfully Activision has handled its tenure. 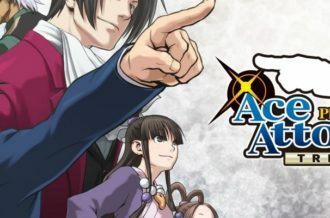 A major part of their ability to keep the series fresh as we approach the half decade mark is the fact that each entry been unique from the last. 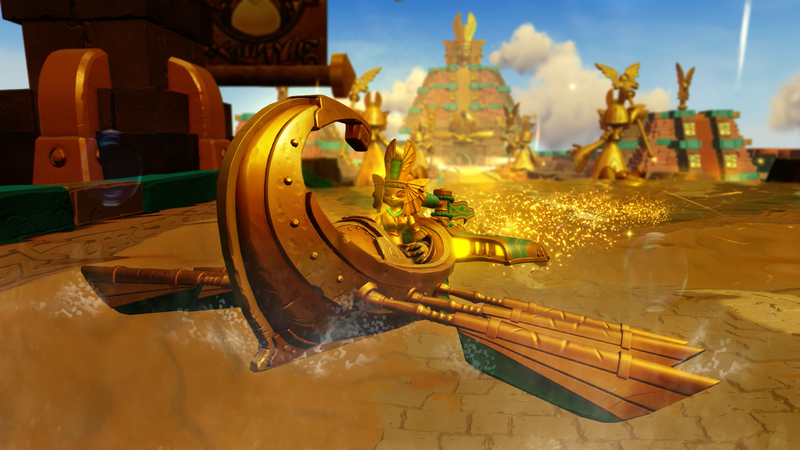 With Vicarious Visions taking the reigns for the second time, Skylanders SuperChargers is the boldest entry yet, adding racing into the mix. Can introducing a completely new genre into a long-established platformer really work? SuperChargers takes place in the midst of the world as we know it ending. Kaos has captured most everybody in Skylands including Master Eon, plunging the world into darkness with the help of his latest creation, the Sky Eater. 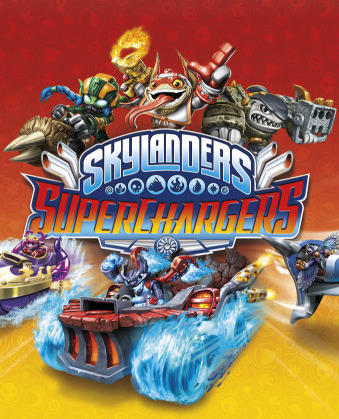 Facing sure extinction, special Skylanders have been assembled to take on a fleet of supercharger vehicles. As the Portal Master, players must harness their power to save Skylands. As usual for the series, the bulk of SuperChargers is a platformer. Also as per usual, it’s incredibly solid. There’s simply not a lot of platformers being made these days — let alone good ones — so Skylanders really has become the main fix to experience this sorely overlooked genre in modern times. All of the levels are well designed and varied from one another. 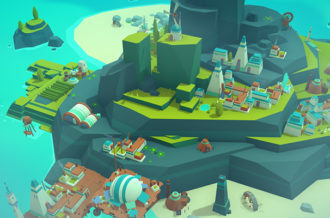 Cloud Kingdom, for instance, has a haze of clouds throughout that prevents players from seeing more than a few feet in front of them, adding extra challenge. 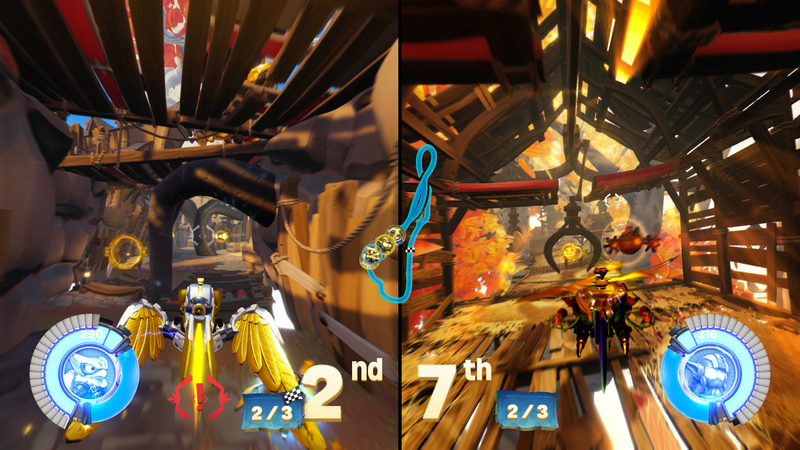 Sky Eater, on the other hand, is a gravity-bending environment that sees Skylanders being controlled from a top-down perspective running up and down the sides of walls. Each area brings its own set of challenges and quirks that prevents the experience from every feeling stale. While simply blowing through the main quest will take several hours, there are side-quests throughout the levels that can be unlocked by having a Skylander/vehicle of a certain element. As such, it’s a good idea to have a pair of each element of Skylanders/vehicles (ideally matching) before beginning as it will unlock the vast majority of content and highly extend playtime. 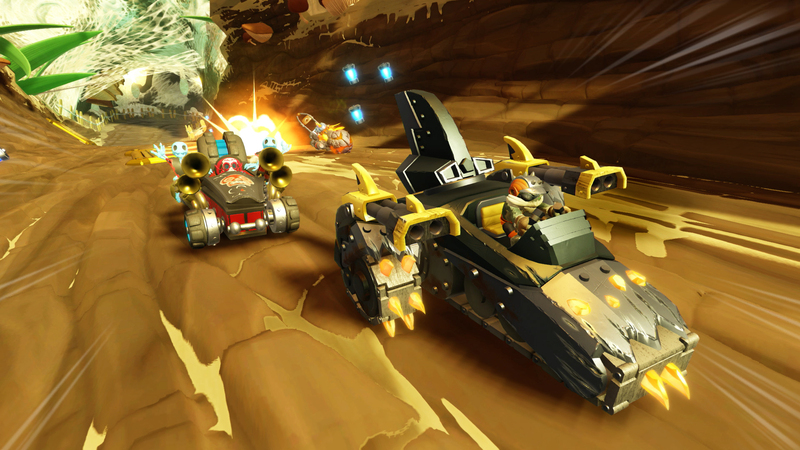 As solid as the platforming is, it’s the vehicles where SuperChargers shines. It’s been a bit confusing to know exactly what kind of game Skylanders is — racing or platforming — a problem magnified by the fact that there the Wii and 3DS versions are actually standalone racing games. The reason it’s confusing, however, is because SuperChargers is indeed two games in one, which in an era of constant content stripping is hard to fathom. The racing mode features three different types of racing across six different tracks (with an additional six tracks available through one of three Racing Action Packs which includes a Skylander, vehicle, villain trophy and two tracks each). There are three different racing types — land, air and sea — and each stands on its own. Land feels like a traditional kart racing game (while I’m aware Mario Kart isn’t the only kart racing game nor the first, it is indeed the best comparison), Sea feels like Hydro Thunder, while Air calls to mind Freaky Flyers. All three modes share basic features and gameplay. Throughout the tracks, mystery boxes are picked up that automatically trigger a special ability like shields, invisibility or various attacks. 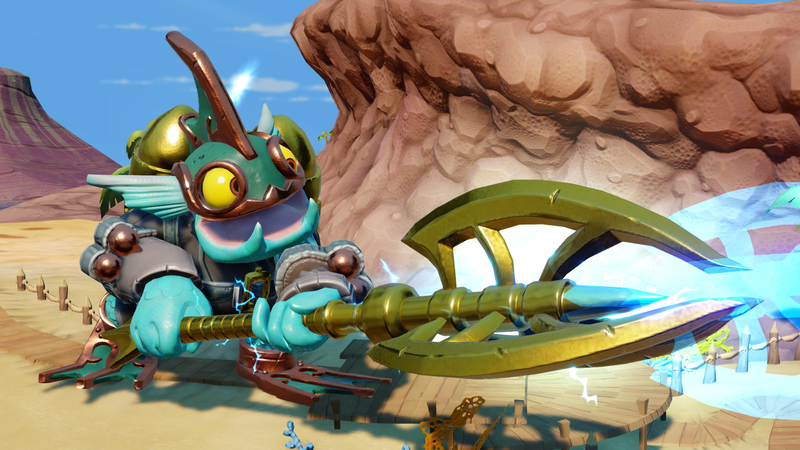 There’s also a constant weapon and ability unique to the Skylander that can be refilled by picking up power-ups littered throughout the courses. Although the basic features are the same throughout all three modes, each controls noticeably different. Impressively, Sea basically features two tracks in one as players can dive underwater at almost anytime to reveal alternate paths, power-ups, boost rings and more. Sky also adds a level of verticality that makes it feel removed from the other modes, challenging players to constantly be minding their elevation. All three modes are impressively designed; these are not throwaway modes, but instead a fully-realized dimension of gameplay. Not only do they just plain feel right, but the courses are expertly designed featuring great movement and creatively lush happenings in the background. 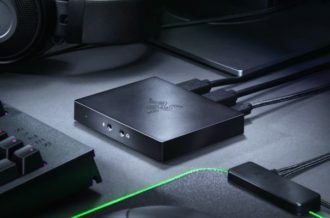 Better yet, it blazes at a crisp 60fps that helps make it feel like a proper current-gen racing experience. If there were more than six tracks included in the package, the racing mode truly could stand on its own. Even with a (nearly) full racing game and a more-than-full platformer stuffed in the box, SuperChargers doesn’t stop there. There are numerous other opportunities to get behind the wheels of the vehicles throughout Skylands. 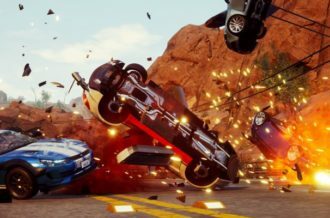 There are ten different Elemental Missions and a Vehicle Test Track for each element so players can instantly test their favorite ride in a no-stakes atmosphere. The SuperCharger Challenges are sure to be a big hit and likely chew up quite a bit of playtime (especially for older players). These eighteen challenges task players with trying to complete a course objective as quickly as possible. There are time bonuses around the track that stop the clock, but they can be in inconvenient places, challenging players to figure out if staying on the inside track is more efficient. Trying to get the best time against a friend is a blast and a great way to hone skills on the track. The only area where the vehicles fall short is in the platforming sections where they’re presented in an arena setting, allowing driving in any direction. It’s hard to explain exactly what feels off about it, but it’s undeniably squirrely. Maybe it’s the fact that the direction the vehicle goes directly responds to the direction of the analog stick, forcing unnatural movements. It’s not bad by any means and it’s adaptable after some practice, but compared to how slick the driving feels when barreling down a track, it’s noticeably less intuitive. Yet even with all of that gameplay jammed into a single package, Vicarious Visions didn’t stop there. Skystones Smash (think Hearthstone) has been completely reworked as Skystones Overdrive, adding noticeably deeper strategy, whether that be against NPC opponents or friends online. Rounding out the package are Daily Quests, 16 different Emblems, 60 Legendary Treasures and a ton of collectibles to keep players busy for months — 266 hats, 126 vehicles mods, 88 Skystone Overdrive cards, 60 Legendary Treatures, 20 Soul Gems, 10 Winged Sapphires and 10 Kaos Story Scrolls, to be exact. Activision and Vicarious Visions have seemingly done the impossible by keeping Skylanders fresh for its fifth outing. SuperChargers is jam-packed with enough content to fill at least two separate games and it’s all quality stuff. The platforming is as strong as ever and the kart racing is some of the best to come along in years. 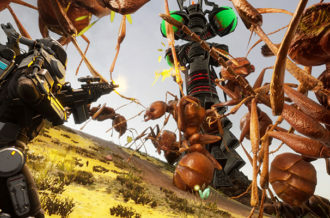 More still, there are enough mini-games, side-quests and collectibles peppered throughout the experience to result in an almost endless playtime. From top to bottom, SuperChargers is clearly a labor of love and fully deserves the countless hours that people of all ages will be addicted to it.